In recent years there has been a movement to help protect what is known as “traditional knowledge” of the sort that is kept within tribal cultures. I find this fascinating, possibly because I have an understanding of traditional knowledge born of my Western upbringing. 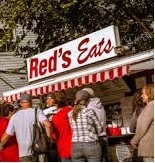 For me traditional knowledge always meant things like the legend of Paul Bunyan, the infield fly rule or proper use of the term wicked (“Red’s Eats makes a wicked good lobster roll!”). It’s the stuff I grew up knowing because everyone around me knew. It was a part of the culture in the time and place I was reared and, even if you weren’t paying much attention, you absorbed it. But thinking about it a bit more it occurred to me that, even amid the broader cultural norms that define a region, there might be more specific traditional knowledge—an Appalachian family recipe for moonshine, for example. The family that depends on the demand for their particular nuance of a traditional product would have an interest in protecting their formula. Passing the specifics by word-of-mouth within the confines of the family unit and reinforcing the importance of secrecy, the recipe could be kept safe for generations. Yet as the notion of globalization grows and the quest for the next big thing becomes more intense, there are times when cultures will inevitably clash. An adventurous entrepreneur may find himself exposed to something fascinating that sparks the imagination and causes dollar signs to roll in his eyes. And he might take advantage of a situation to exploit what would otherwise be considered a closely guarded family or tribal secret. That seems to be the motivation of the World Intellectual Property Organization (WIPO) in its efforts to establish guidelines for the protection of traditional knowledge in places around the world where Western concepts like patent and copyright are only understood through the lens of pride and family. Just as some jealously guarded intellectual property can be synonymous with brand identity and deserving of protection by physical barriers, technological devices, reams of legal documentation and a team of attorneys, it would seem there is increasing recognition that traditional knowledge integral to cultural identity should also be afforded protection. I think that’s a good idea.